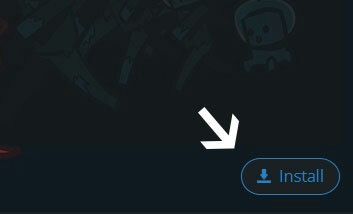 Type in the modpack name ( KimiTech Next) or paste the following url into the search box. 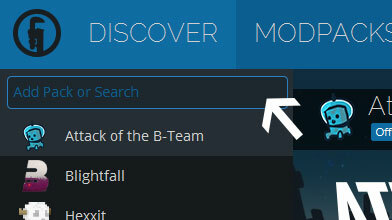 Finally, click Install at the bottom right of the launcher after you select KimiTech Next from the list on the left. The launcher will handle everything else! Your application for the position of Regional Director of R&D has been received and reviewed. Your credentials in the fields of temporal mechanics, spacial fissure stabilization, multiverse theory, wormhole mechanics and/or exawatt power systems qualify you for the position. However, in accordance with company policy, a trial period of employment will commence on [REDACTED] and continue for 6 months or until the executive board selects their choice(s). During this trial period, you will be working with other qualified applicants both in the field and in the lab, on any number of projects, as ordered by the Executive Director. The candidate(s) who exemplify knowledge, teamwork and a capacity for creative thinking will be considered for the final, permanent position(s). Understand that this trial period is to insure that we hire only the best candidate(s), as the nature of our industry does not allow us to be second best. Due to the potentially highly classified nature of our R&D department, and the potential risks involved with regards to espionage, security risks and sabotage, all applicants must sign and notarize the attached non-disclosure agreement (form NDA-11b.pdf). Failure to uphold this agreement, regardless of the severity of the breach, will be considered as grounds for immediate termination of employment and possibly criminal charges. Additionally, due to the potentially dangerous, life-threatening activities that may be required as part of your duty, all applicants must sign and notarize the attached general liability waiver (form GLW-8c.pdf). Candidates who refuse to do this will be removed from all present consideration. To all candidates, I wish you the best of luck in the coming months - may the best and brightest get the job. Fun fact: There is an official server running (almost) 24/7! Join the Discord and message Kimiro (me) for details.